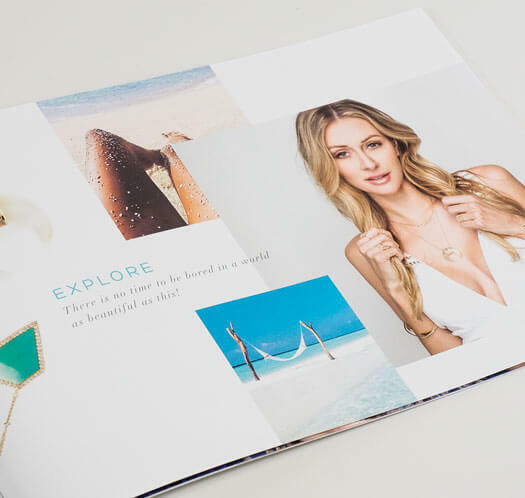 The paper used for your look book is a determination of its quality, which is why we use 100lb Book Paper as standard and give you the option of choosing 10pt Cover as a thicker cover paper. 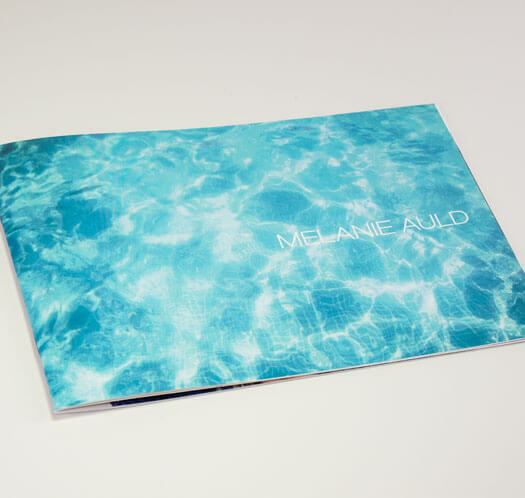 We coat our books with Aqueous Coating for better surface resistance but it also adds a beautiful effect on paper. Gloss coating will enhance vivid colors while Matte coating creates a softer look. *Tip: Matte finish is a popular in the fashion industry due to it's muted and elegand tone. 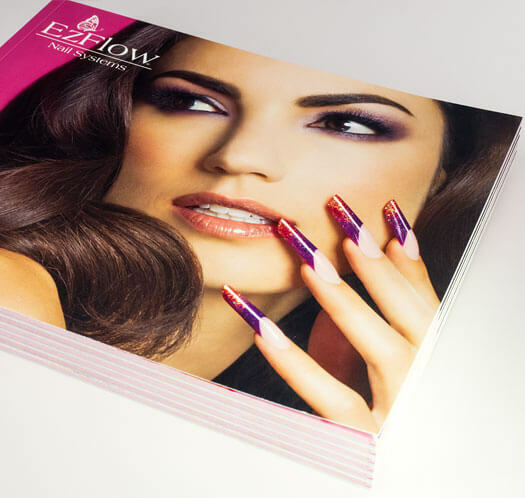 We use Saddle Stitch as our standard binding option due to is applicability. 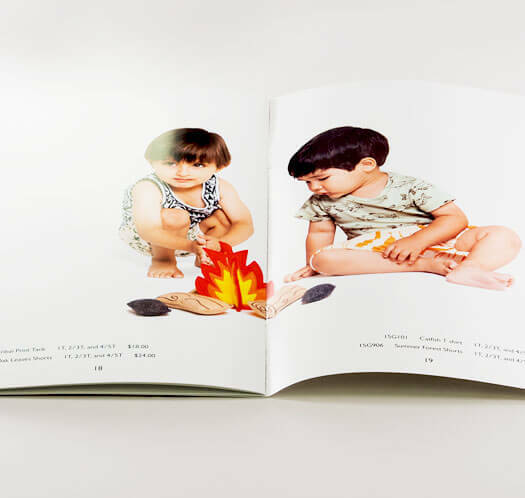 This is when the pages are folded in half and stapled along the spine. 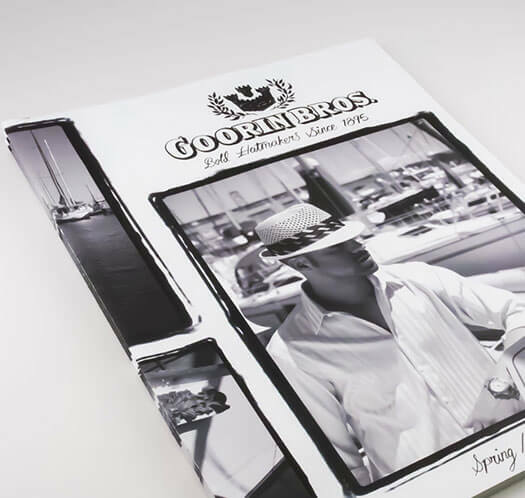 Other binding options are available but not placed as an option due to limitations. Speak to one of our product specialists to discuss options and details. 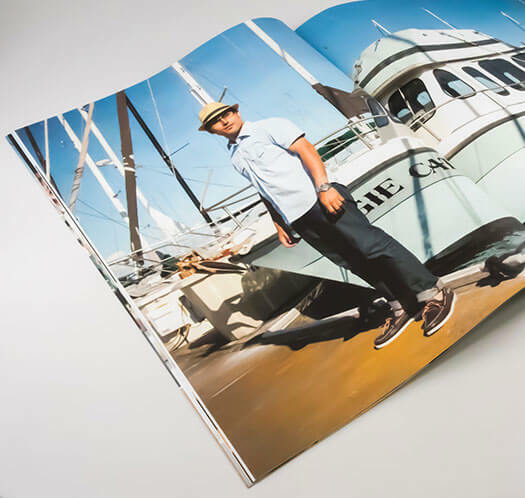 Fashion lookbooks has been made available digitally, readily accessible anywhere, anytime, well, almost. 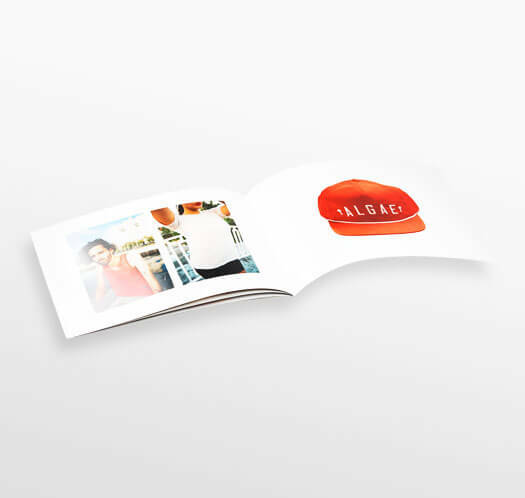 These lookbooks have been printed for multiple purposes; sometimes used for wholesalers to place an order from, more often as a showcase of the brand's favorite pieces or looks, and occassionally, as a fashion or lifestyle magazine. 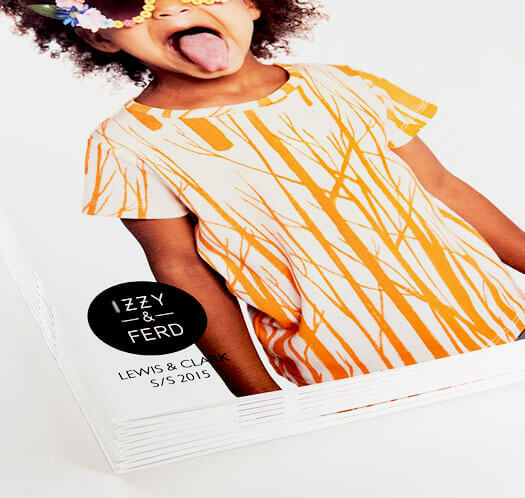 Compared to digital, printed fashion lookbooks provide a tangible access to your brand whenever and wherever. 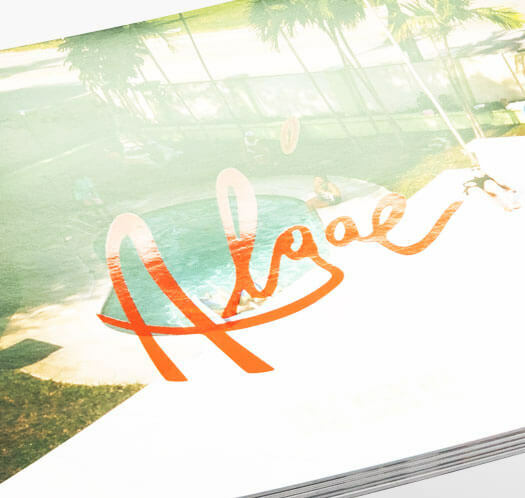 Brand communication is essential to any company but sometimes it can be more than just that to fashion brands due to the amount of competition, it becomes a brand spokesperson, a brand representative. 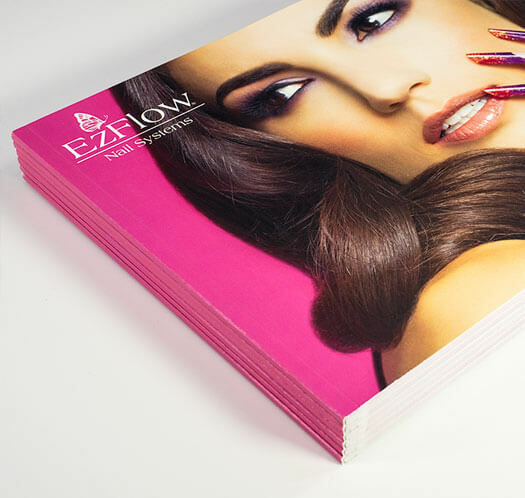 We've worked with many companies from this industry, from new labels to established brands, our team can assist you with implementing the brand image and message throughout your printed materials. Not all projects are created equal. 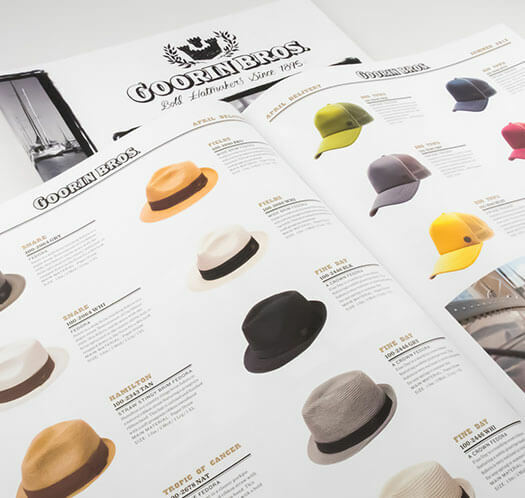 For a one-of-a-kind catalog made just for you, speak with one of our product specialists.